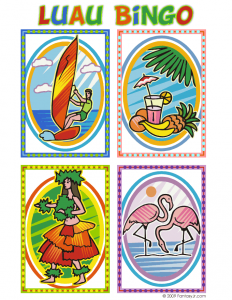 Now that we are finally kicking off summer, it’s time to think of Luau parties! 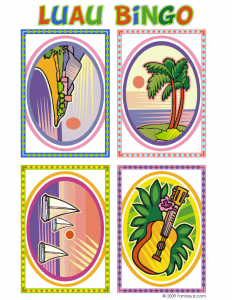 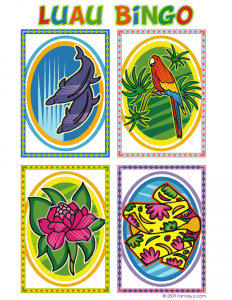 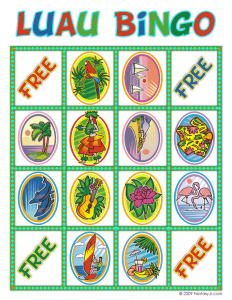 The Dollar Store has awesome and cheap luau party decorations every year, and this luau bingo game has ten playing cards so that up to ten people can play at one time – although if you have enough prizes, you can always play with a larger crowd, knowing that multiple people will win on every round. 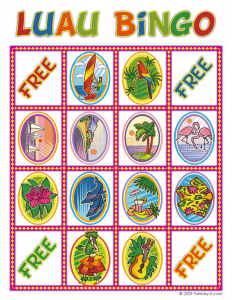 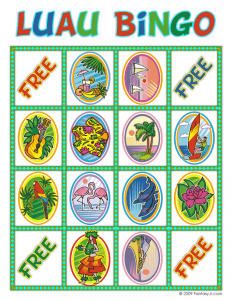 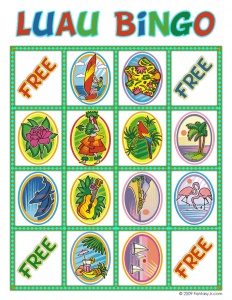 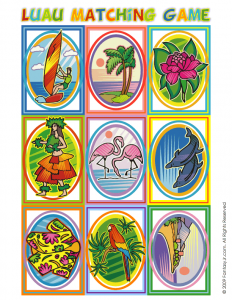 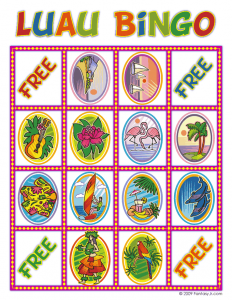 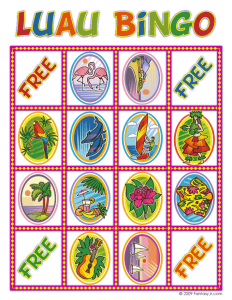 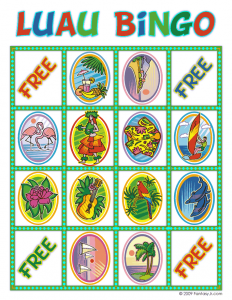 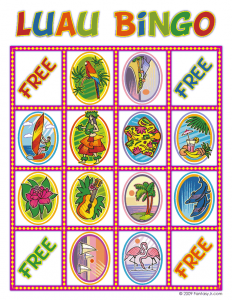 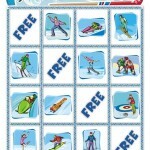 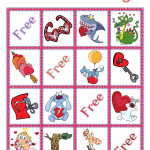 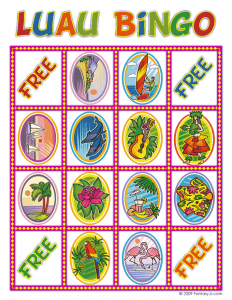 We have created our own Luau Bingo game for you to download and print for free! 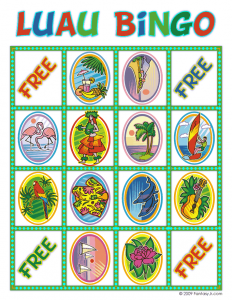 Here’s a bonus printable luau game for little children – a coordinating matching game! 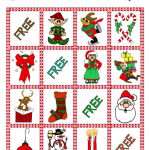 Just print out the page twice and cut them up, turn them over, and play! 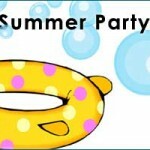 Who, Where, When and RSVP is all you need to get a whole group of friends over to have a party worth remembering! 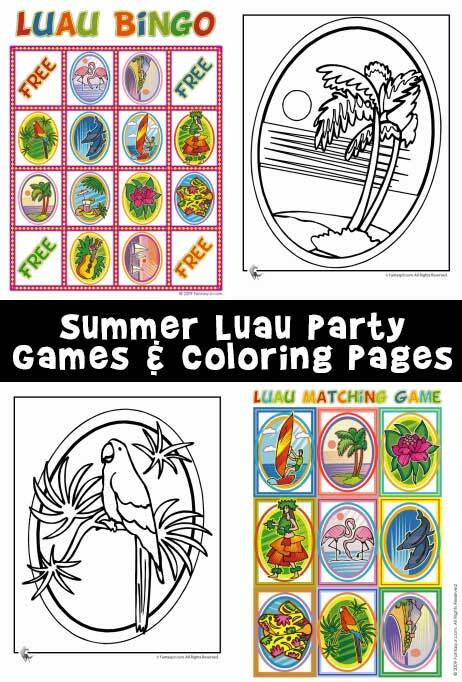 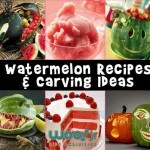 Print these pages to keep children happy and busy while you and your guests party!